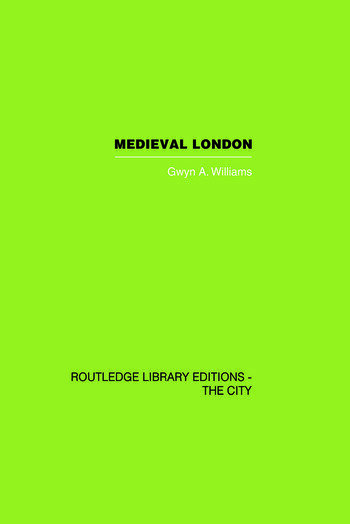 This unique study is based on the careful interpretation of evidence in the commercial and administrative records of the City and in the royal records, of the process by which London developed from a commune of a feudal kingdom into the capital city of the English nation. The period covered is the century and a half between 1191 and the beginnings of the Hundred Years' War. Leading themes are the emergence of its administrative elite, the changing pattern of its mercantile interests, and the rise of its craft organizations; and a detailed account is given of the social and constitutional conflicts that marked London's history between the popular revolt of 1263 and the succession of Edward III. A notable feature of this volume is the reconstruction from teh records of a large number of outline biographies of Londoners of all classes. This book was first published in 1963.